Recent statistics from the Health and Safety Executive state that 144 people were killed in the workplace last year. 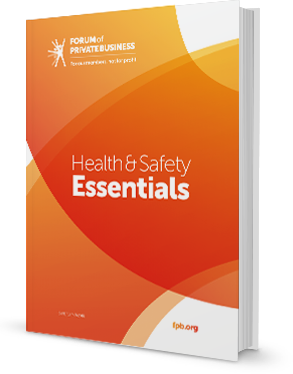 Without a health and safety management system in place, the likelihood of a costly accident increases dramatically. 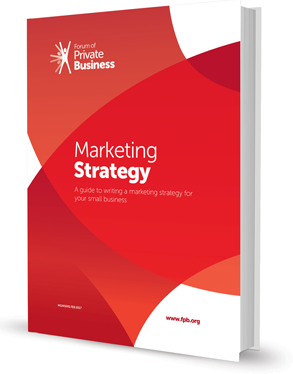 The definition of a marketing strategy is a plan of action which is designed to promote and sell a product or service. Businesses have to pay business rates as a contribution to the cost of services provided by local authorities. The guide will outline what business rates are and the types of premises on which they are payable. 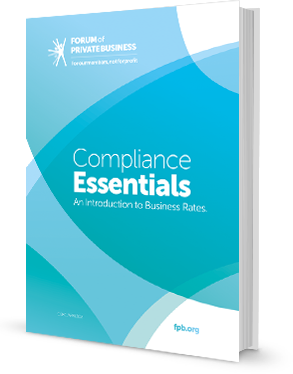 It explains how business rates are calculated and how the rateable value of business premises is determined in England, Wales, Scotland and Northern Ireland. The 7 golden rules for turning customer complaints into sales. Did you know that each unhappy customer will tell at least three current or potential customer about his or her experience? On top of that customers are now turning to social media to vent frustrations. The Forum of Private Business has put this guide together to help you change the way you look at complaints and identify huge untapped opportunities. From the 1st April 2019 Making Tax Digital (MTD) is a key part of the Governments plans to make it easier for individuals and businesses to get their tax right and keep on top of their affairs. The primary aim of Making Tax Digital is to make the administration of tax effective and easier for taxpayers through the fully digitalised tax system by 2020, which in turn will reduce the overheads for HMRC for managing tax. HMRC’s ambition is to become one of the most digitally advanced tax administrations in the world. Making Tax Digital is making fundamental changes to the way the tax system works – transforming tax administration. The changes will apply to a wide range of tax payers including most business, self-employed professionals and landlords.